The following are translated excerpts from a book published in 1851: “The Gift” written by Giorgos E. Kapsalis. “Some 30 years after the Greek War of Independence, the Fokidas and Doridos regions continued to struggle with roving bands of bandits and robbers. In addition, there was growing dissatisfaction from the men who had fought in the 1821 War and who felt they were not rewarded for their sacrifice and who often joined in uprisings. In 1851, the government created local tribunals to litigate cases and solicited names of possible jurors. Below is a partial listing of names submitted by a few of the villages. This information was published in Giorgos E. Kapsalis book “The Gift”. The book is remarkable as it offers not only geographical and political information, but also population counts (see above) along with names and ages of individuals, their occupation and their annual incomes. The info contained in the book has been transcribed by the Lidoriki Blog. A translated version of the blog page is here (Note: since last names on the Lidoriki Blog website are separated by spaces – ex. K A N I O S – the automatic translators may not translate names and they will appear as blank spots). All names are listed as: [Family Name/Surname] followed by [First Name]. If a name says “of” they are referring to the father. Ex: Koutroukis Dimitris of Ioannou = Dimitris Koutroukis, son of Ioannou Koutroukis. The population of Plesia increased triple-fold almost immediately after the war of Independence and has reached 423 residents (75 families). Before the war the village had 175 residents. It is located one and a half hours north of Vitrinitsa, and produces wheat, barley, corn and cheese. Georgiou Giannis, municipal councilor, 59 years old, with an income of 2,000 drachmas/year. Karanasios Kostas, a stockman, 58, with a fortune of 6,000 drachmas. Manetas A., a 49-year-old justice of the peace, with an income of 2000 drachmas per year. Manetas P., landowner, 43 years old, with an income of 2,000 drachmas per year. Ioannou Giorgos, landowner, 55 years old. (Independence Fighter). Kamoutsis Stavros, landowner, 60 years old. (Independence Fighter). Kanios Panagiotis, landowner. (Independence Fighter). Karamantzalos Kostas, landowner, 51 years old. (Independence Fighter). Kokmotos Mihos, landowner, 55 years old. (Independence Fighter). Kotrótsosi or Kordelási or Kordalá Andreas, 50 years old landowner. (Independence Fighter). Koutsomichos Christos, landowner, 55 years old. (Independence Fighter). Bounon Plesias Giannis, landowner, 55 years old. (Independence Fighter). At the edge of Vela’s closed valley, two hours from the Lidoriki to the south, is Vraila, with lots of grain and corn, barley and wine. The population declined after 1821. Before the war, there were 21 families within the Turkish district of “Kazah Malarin’s”, and the village had 16 families with 80 inhabitants. After the war there are now only 12 families with 45 inhabitants. Kontomíchos George, a farmer. (Independence Fighter). Malakasis Panagiotis, agro-cultivator. (Independence Fighter). Chimekas Thanasis, agronomist. (Independence Fighter). Tsimekas Giannis, agro-cultivator, 61 years old. (Independence Fighter). Malandrino is two and a half hours south from Lidoriki and is similar to Vraila, which, as we said, produces: corn, wheat, barley, wine, cheese, and wool. Its population has fallen from the 350 inhabitants that they had before 1821 – most of them Ottomans – and the current number is 236 (54 families). In 1843, by royal decree, the village fell under the jurisdiction of the Doridos County Court. Karagiannopoulos Thanasis, a farmer. (Independence Fighter). Katrapas Zacharias, agro-farmer, 56 years old. (Independence Fighter). Stamatopoulos Diamantostamatopoulos Thymios, agro-farmer, 50 years old. (Independence Fighter). Triantafyllou Yannis, farmer, 54 years old (Independence Fighter). Two hours away from Lidoriki is Strouza, near ruins that seem to belong to Aegitio, from which the village was named. Situated on the Pleseva ridge (Pyrinos Mountain range), the site contains 35 families – 219 inhabitants – and supports itself by grazing and cultivating barley, corn and vines. Vasilodimitris Nikos, farmer. (Independence Fighter). Gólfis (Nkólfis) Thanassis, agro-farmer, 55 years old. (Independence Fighter). Gólfis (Nkólfis), agro-farmer, 60 years old. (Independence Fighter). Bakas Panagiotis, agro-cultivator, 70 years old. (Independence Fighter). Bolotas Andreas, agro-farmer, 48 years old. (Independence Fighter). Strouzas Panagiotis, agro-farmer, 53 years old. (Independence Fighter). In one hour, from Lidoriki, Skaloula contains 26 families and 134 souls, while before the war it was only 5 families with 25 inhabitants. The village is poor, and produces wheat, barley, corn and wine. Yiannakopoulos Giorgos, 50 years old farmer. (Independence Fighter). Giannakopoulos Nikos, agronomist, aged 55, (Independence Fighter). Stamatopoulos Theoharis, agronomist, 51 years old. (Independence Fighter). Tzathas Stavros, agro-farmer, 71 years old. (Independence Fighter). The Municipality of Tolofonos stretches from the beaches in Galaxidi to Nafpaktos. During the Turkish regime the district of “Kazas Malandrino” had the same geographic boundaries as the Municipality of Tolofonos. The capital of the Municipality, Vitrinitsa – near the ancient Tolofon – is located four hours south of the village of Lidoriki. It is a large village, with a Second Class Primary School and a customs station on its beach – Chania (Fokidos) and has 531 inhabitants (125 families). Before the 1821 Revolution it had 300 inhabitants. The policeman are Lampros Giannakos, Papadimitaris Kolantzis, 65-years-old, and Papaspyros Schoinas, 60 years old. Georgiou Kontogiorgopoulos Vitrinitsa Drosos, a landowner, 61, with an income of 2,500 drachmas per year. (Independence Fighter). Gikas Giorgos, landowner, 41 years old, with a fortune of 6,000 drachmas. Dragos Thanasis, landowner, 59 years old, with an income of 1,500 drachmas per year. Dragos Giannis, landlord, 50 years old, with a fortune of 6,000 drachmas. Karabelas Giorgos, a 48-year-old landowner, with an income of 1,000 drachmas per year. Katsoulis Giannis, 47-year-old landowner, with an income of 2,500 drachmas per year (Independence Fighter). Kontos Loucas, a merchant, 59, with an income of 2,500 drachmas per year. Chloros Andreas, a 51-year-old landowner, with an income of 1,000 drachmas per year. Georgakopoulos Giannis, landowner, 31 years old. Katsikapis Thodoros of A. Landowner, 20 years old. Katsikapis Giannis, landowner, 51 years old. Kolantzis Drosos, landowner, 51 years old. (Independence Fighter). Kontolatis Anagnóstis, landowner, 55 years old. (Independence Fighter). Kontopoulos Charalambis of the Landowner, 20 years old. Papadimitriou Karnavos G. merchant, 36 years old. Politis Giorgos of P., landowner, 40 years old. Stamatopoulos D. Landowner, 45 years old. Stavros Stathis, merchant, 47 years old. Stavros Thodoros, merchant, 33 years old. Chloros Giorgos, landowner, 47 years old. Chloros Thomas, landowner, 21 years old. An hour and a half northwest of Vitrinitsa, situated up high, overlooking four coastal ports, is the Xylogydara, with 55 families and 254 inhabitants (Before the war, it was 150 inhabitants). Sheep and goats are grazed on the surrounding ridges, and corn, wheat, wine and olive oil are produced. Grilanos Anagnóstis , 55-year old assistant/deputy judge, with an income of 1,500 drachmas a year (Independence Fighter). Darais Giannakopoulos Dimitris of Ioannou, a 49-year-old landowner, with an income of 1,500 drachmas per year. (Independence Fighter). Zoytos Karampinis Dimitris, a 60-year-old landowner, with an income of 2,500 drachmas per year. (Independence Fighter). Katharakis Giannis, landowner, 69, with an income of 2,500 drachmas per year (Independence Fighter). Koutrofoukis Giannakis, municipal councilor – landowner, 63 years old, with an income of 2,500 drachmas per year. (Famous Independence Fighter). Konstantinis Konstantinos Ilias, 40-year-old landowner, with an income of 1,500 drachmas per year. Koutroukis Dimitris of Ioannou, 30 years old merchant. Koutrofoukis Panagiotis of Ioannou, 22 years old. The town touches the Corinthian Gulf with two ports. The fruitful soil gives corn, wine and oil, enough to provide for its 132 souls – 28 families. Prior to 1821, the town belonged to the Turkish sector ‘Kazasa Lidokorikou’ and had 75 inhabitants. Stamagiannis Giannis of A., municipal councilor, 50 years old, with an income of 1,500 drachmas per year. (Independence Fighter). Dimitris Tsamis, landowner, 69, with an income of 1,500 drachmas per year. Georgakopoulos Andreas, landlord, 50 years old. (Independence Fighter). Koutsoumbakis or Koutsoubanis Giorgos, landowner, 50 years old. Konstantinos Mahairas Dimitris of Konstantinos, (Independence Fighter). Sideropoulos Thanasis, landowner, 30 years old. Stamatogianni Giorgos, landowner, 58 years old. (Independence Fighter). Stamatogianni Thymios of A., landowner, 39 years old. Marazia is located two and a half hours northwest of Vitrinitsa, producing the same as the surrounding villages: wheat, corn, wine, oil. Today their inhabitants reach 232 – 45 families – while pre-war there were 135 inhabitants, of which 35 were within Marazia. Mítis A. Officer, 64, with an income of 1,500 drachmas per year. Papatheoharis Anagnóstis, landowner, 59 years old, with an income of 2,000 drachmas. the year. Kathis Antonis, landowner (Independence Fighter). Kapsokolos Nikos, landowner, 48 years old. (Independence Fighter). Surrounded by the sea is Troizonia, an island with houses and a cemetery where you can find many 1821 Independence Fighters buried who died during the ferocious battles in the area. Here, at the end of the last century (1790s? ), the village was transferred under the control of the Lidoriki Turkish ruler. An hour and a half northwest of Vitrinitsa is Makrisi, with a small stream and a piece of forest. With 24 families and 111 inhabitants (pre-war it had 150 inhabitants) the village produces wine, legumes, corn and a little bit of wheat. Gikas Anagnostis, landowner, 49, with an income of 1,500 drachmas per year. Drosopoulos Andreas, landowner, 54 years old with income of 1,500 drachmas the year. This is also Béskos George, a 33-year-old landowner. “Militsa is on the cliff,” says the song, and Milia is situated on cliffs and forested slopes with 36 families, 178 inhabitants (pre-war it had 150 inhabitants) – and cheap vineyards. Juror candidate is Koumotós or Kokmotos Dimitris, municipal councilor, 42, with an income of 2,000 drachmas. the year. Vasilopoulos Thanasis, landowner, 51 years old. (Independence Fighter). Vassilopoulos Dimitris of , landowner, 51 years old. (Independence Fighter). Botinis Giannis, landowner, 56 years old (Independence Fighter). Botinis Kostas, landowner, 48 years old (Independence Fighter). Dalakas Margaritis Giannis, landowner, 56 years old. (Independence Fighter). Papadimitrios Kostas, landowner, 46 years old. (Independence Fighter). Papadimitrios Charalambis, landowner, 33 years old. Tambartzis Giorgos, landowner, 52 years old. (Independence Fighter). Two-and-a-half hours drive northwest of Vitrinitsa, Sotaina has 71 residents – 15 families – making a living with goats and sheep and some corn, barley and wheat. A well-known Sotieniotis is Sylladavos Thanassis, landowner (Independence Fighter). Durovitsa, now pillaged, had pre-war, 25 inhabitants. East of Vitrinitsa, two hours, is Vidavi (now Agii Pantes) with 423 inhabitants – before ’21 it had 75 people. Against the sea, it opens into two good harbors and produces wine, oil, wheat and barley. *Galanis Nikos, a landowner, 64 years old, with an income of 1,500 acres per year. (Independence Fighter). *Mantzos Nikos, a 33-year-old justice of the peace, with an income of 1,500 drachmas a year. The last village of the Municipality of Tolofonos, Kiselis (now Panormos), which is one hour from Vitrinitsa and produces wheat, corn, barley, rye, legumes, cotton, raisins. On a hillside, the town has two marvelous harbors and contains 47 families and 216 inhabitants – 150 of which are pre-war. *Despotopoulos G. , Officer, 63 years old, with an income of 2,000 euros per year. *Leos Thanasis, Officer, 56 years old, with an income of 2,000 drachmas a year. *Lecos Antonis, 53-year-old landowner, with an income of 2,000 drachmas per year. *Lecos Giorgos, landowner, 59 years old, with an income of 1,800 drachmas a year. *Athanasiadis Anagnóstis, landowner, 29 years old. 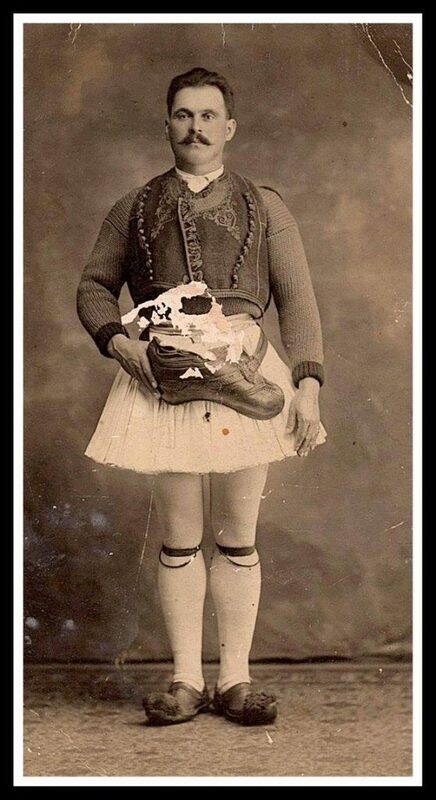 *Dromazos Thymios, a merchant, 31 years old. *Dromazos Panayiotis, landowner, 30 years old. *Krikos Loucas of Pan. landowner (Independence Fighter). *Lego Nikos, landowner, 20 years old. Doridos offered much during the struggle for independence, both people, livestock and food. In a decision of the Supreme Court, which was archived, we get a picture of the sacrifices made by the region’s residents. List of medals awarded in each province. Total population in the region was 15,000 which means that 50% of the population was recognized for their contributions. Γεωργίου Γιάννης , δημοτικός σύμβουλος , 59 χρονών , με εισόδημα 2,000 δρχ . το χρόνο . Μανέτας Αν. , ειρηνοδικειακός πάρεδρος , 49 χρονών , με εισόδημα 2000 δρχ το χρόνο . Ιωάννου Γιώργος , κτηματίας , 55 χρονών . ( Αγωνιστής ) . Κοτρότσοςη Κορδελάςη Κορδαλάς Αντρέας , κτηματίας , 50 χρονών . Στην άκρη της κλειστής κοιλάδας της Βελάς , δυό ώρες απ’ το Λοιδωρίκι προς τα νότια , βρίσκεται η Βραίλα η Μπραίλα , με αρκετά γιδοπρόβατα και κύρια σοδήματα το καλαμπόκι , το στάρι , το κριθάρι και το κρασί . Οι άνθρωποί της λιγόστεψαν ,κι ‘ενώ πριν το ’21 – που υπαγόταν στον Καζά Μαλαντρίνου – μετριώνταν 16 οικογένειες με 80 νομάτους , τώρα έχει 12 με 45 . Κ ο ν τ ο μίχος Γιώργος , γεωργοκτηνοτρόφος . (Αγωνιστής ) . Μαλακάσης Παναγιώτης , γεωργοκτηνοτρόφος . ( Αγωνιστής ) . Τσιμέκας Θανάσης , γεωργοκτηνοτρόφος . ( Αγωνιστής ) . Τσιμέκας Γιάννης , γεωργοκτηνοτρόφος , 61 χρονών . ( Αγωνιστής ) . Το Μαλαντρίνο – δυόμιση ώρες απ’ το Λοιδωρίκι , προς τα νότια – έχει τα ίδια με τη Βραίλα , που είπαμε , προιόντα : Καλαμπόκι ,στάρι , κριθάρι , κρασί , τυρί , μαλλιά . Οι κάτοικοί της μειώθηκαν κι’ από 350 που είχε πριν το’21 – οι πιό πολλοί ήταν Οθωμανοί – τώρα έχει 236 ( 54 οικογένειες ) . Την εποχή των Τούρκων είχε βαφτιστεί με τ’ όνομά του το δεύτερο διοικητικό διαμέρισμα της Επαρχίας , ο Καζάς Μαλαντρίνου . Δυό ώρες μακρυά ,απ’ το Λοιδωρίκι είναι η Στρούζα , κοντά σ’ ερείπια που φαίνεται πως ανήκουν στο Αιγίτιο , απ’όπου πήρε τ’όνομα κι’ο Δήμος. Σφαλισμένος πάνω στην Πλέσιβα, τόπος κρατάει 35 οικογένειες – 219 κάτοικοι – που τρέφουν γιδοπρόβατα και καλλιεργούν κριθάρια , καλαμπόκια κι’ αμπέλια . Βασιλοδημήτρης Νίκος , γεωργοκτηνοτρόφος . ( Αγωνιστής ). Γκόλφης Θανάσης , γεωργοκτηνοτρόφος , 55 χρονών . ( Αγωνιστής ) . Γκόλφης Γιάννης , γεωργοκτηνοτρόφος , 60 χρονών . ( Αγωνιστής ) . Μπάκας Παναγιώτης , γεωργοκτηνοτρόφος , 70 χρονών. ( Αγωνιστής ) . Μπολότας Αντρέας , γεωργοκτηνοτρόφος , 48 χρονών . ( Αγωνιστής ) . Στρούζας Παναγιώτης , γεωργοκτηνοτρόφος , 53 χρονών . ( Αγωνιστής ) . Σε μιά ώρα , απ’ το Λοιδωρίκι , απαντιέται η Σκαλούλα , με 26 οικογένειες και 134 ψυχές , ενώ πριν τον πόλεμο είχε μονάχα 5 με 25 . Φτωχότοπος , παράγει στάρι , κριθάρι , καλαμπόκι και κρασί . Γιαννακόπουλος Γιώργος , γεωργοκτηνοτρόφος , 50 χρονών . ( Αγωνιστής ) . Γιαννακόπουλος Νίκος ,γεωργοκτηνοτρόφος , 55 χρονών , ( Αγωνιστής ) . Σταματόπουλος Θεοχάρης , γεωργοκτηνοτρόφος , 51 χρονών . ( Αγωνιστής ) . Για να κλείσει η Δωρίδα , μένει ο Δήμος Τολοφώνος , που πιάνει όλη την παραλία από το Γαλαξείδι ως κοντά τη Ναύπακτο . Παλιά , απλωνόταν ο Καζάς Μαλαντρίνου στα ίδια όρια . Πρωτεύουσα του Δήμου , η Βιτρινίτσα – κοντά στην αρχαία Τολοφώνα – απέχει τέσσερις ώρες απ’ το Λοιδωρίκι, προς το νότο . Ριζωμένη σε θέση καλή, μ’ένα άχρηστο ρέμα , έχει μπροστά την καρπερή πεδιάδα που γεννάει στάρι, όσπρια, μπαμπάκι, λάδι, κρασί, σταφίδα. Γερό χωριό, με Δημοτικό Σχολείο Β’ τάξεως και τελωνειακό σταθμό στην παραλία της – τα Χάνια – βαστάει 531 κατοίκους ( 125 οικογένειες ), ενώ προπολεμικί είχε 300 . Αστυνόμος είναι ο Λάμπρος Γιαννακού και παπάδες οι Αγωνιστές Παπαδη- μήταρης Κολαντζής, 65 χρονών, και Παπασπύρος Σχοινάς, 60 χρονών. Γεωργίουη Κοντογιωργόπουλοςη Βιτρινίτσας Δρόσος, κτηματίας, 61 χρονών, με εισόδημα 2.500 δρχ .το χρόνο . ( Αγωνιστής ) . Γκίκας Γιώργος, κτηματίας, 41 χρονών, με περιουσία 6.000 δρχ. Δραγώτης Θανάσης, κτηματίας, 59 χρονών, με εισόδημα 1.500 δρχ. το χρόνο. Δραγώτης Γιάννης , κτηματίας , 50 χρονών, με περιουσία 6.000 δρχ. Καράμπελας Γιώργος, κτηματίας, 48 χρονών, με εισόδημα 1.000 δρχ. το χρόνο. Κοντός Λουκάς, έμπορας, 59 χρονών, με εισόδημα 2.500 δρχ. το χρόνο. Πολίτης Αντρέας του Δρόσου, κτηματίας, 48 χρονών, με περιουσία 6.000 δρχ. Χλωρός Αντρέας, κτηματίας , 51 χρονών, με εισόδημα 1.000 δρχ. το χρόνο . Βοργιάς Κώστας, κτηματίας, 33 χρονών. Γεωργακόπουλος Γιάννης, κτηματίας, 31 χρονών. Κατσικαπής Θόδωρος του Α. κτηματίας, 20 χρονών. Κατσικαπής Γιάννης, κτηματίας, 51 χρονών. Κολαντζή ς Δρόσος, κτηματίας, 51 χρονών. (Αγωνιστής ). Κοντολάτης Αναγνώστης , κτηματίας, 55 χρονών. (Αγωνιστής ). Κοντόπουλος Χαραλάμπης του Λ. κτηματίας, 20 χρονών. Παπαδημητρίουη Καρναβός Γ. έμπορας, 36 χρονών . Πολίτης Γιώργος του Π., κτηματίας ,40 χρονών . Σταματόπουλος Δ. κτηματίας, 45 χρονών. Σταύρου Στάθης, έμπορας, 47 χρονών. Σταύρου Θόδωρος, έμπορας, 33 χρονών. Χλωρός Γιώργος, κτηματίας, 47 χρονών. Χλωρός Θωμάς, κτηματίας, 21 χρονών. Μιάμιση ώρα βορειοδυτικά της Βιτρινίτσας , σαν νάναι κρεμασμένη ψηλά , με θέα προς τη θάλασσα , όπου ανοίγονται τέσσερα λιμάνια , είναι η Ξυλογαιδάρα ,με 55 φαμελιές και 254 κατοίκους . ( Πριν τον πόλεμο μέτραγε 150 νομάτους ) . Στις γύρω ράχες τρέφονται γιδοπρόβατα και στις άπλες της παράγονται καλαμπόκι , στάρι , κρασί και λάδι υπέροχο . Γριλάνοςη Γκιρλάνος Αναγνώστης, ειρηνοδικειακός πάρεδρος, 55 χρονών, με εισόδημα 1.500 δρχ. το χρόνο ( Αγωνιστής ). Δάραςη Γιαννακόπουλος Δημήτρης του Ιωάννου, κτηματίας, 49 χρονών, με εισόδημα 1.500 δρχ. το χρόνο. ( Αγωνιστής ) . Ζωιτόςη Καραμπίνης Δημήτρης, κτηματίας, 60 χρονών, με εισόδημα 2.500 δρχ. το χρόνο. ( Αγωνιστής ) . Καθαράκης Γιάννης, κτηματίας, 69 χρονών, με εισόδημα 2.500 δρχ. το χρόνο. Κουτρούκης Γιαννάκης, δημοτικός σύμβουλος – κτηματίας, 63 χρονών, με εισόδημα 2.500 δρχ. το χρόνο. (Αγωνιστής από τους ξακουστούς ) . Κωνσταντίνουη Κωνσταντέλλος Ηλίας, κτηματίας, 40 χρονών, με εισόδημα 1.500 δρχ. το χρόνο. Βαβάτσικος Θανάσης, κτηματίας. ( Αγωνιστής ) . Κουτρούκης Δημήτρης του Ιωάννου, έμπορας, 30 χρονών. Κουτρούκης Παναγιώτης του Ιωάννου, κτηματίας, 22 χρονών . Κοντά στην Ξυλογαιδάρα , δυό ώρες βορειοδυτικά της Βιτρινίτσας , βρίσκεται ο Βελενίκος . Ριζωμένος κι’αυτός μέσα, αγγίζει τον Κορινθιακό με δυό λιμάνια. Το χώμα του το καρπερό δίνει στάρι, καλαμπόκι, κρασί και λάδι, αρκετά για να ζήσουν οι 132 ψυχές του – 28 οικογένειες. Πριν το ’21 υπαγόταν στον Καζά Λοιδωρικίου – είχε 75 κατοίκους. Σταματογιάννης Γιάννης του Α., δημοτικός σύμβουλος, 50 χρονών, με εισόδημα 1.500 δρχ. το χρόνο. ( Αγωνιστής ) . Τσάμης Δημήτρης, κτηματίας, 69 χρονών, με εισόδημα 1.500 δρχ. το χρόνο. Γεωργακόπουλος Αντρέας, κτηματίας, 50 χρονών. ( Αγωνιστής ) . Κουτσουμπάκηςη Κουτσουμπάνης Γιώργος, κτηματίας, 50 χρονών. Κωνσταντίνουη Μαχαίρας Δημήτρης του Κωνσταντίνου, κτηματίας. Σιδερόπουλος Θανάσης, κτηματίας, 30 χρονών. Σταματογιάννη Γιώργος, κτηματίας, 58 χρονών. ( Αγωνιστής ) . Σταματογιάννη Θύμιος του Α, κτηματίας, 39 χρονών. Τα Μαραζιά απέχουν δυόμιση ώρες από τη Βιτρινίτσα , βορειοδυτικά , και παράγουν τα ίδια με τα γύρω : στάρι , καλαμπόκι , κρασί , λάδι . Σήμερα , οι κάτοικοί τους φτάνουν τους 232 – 45 οικογένειες – ενώ προπολεμικά είχαν 135 , από τους οποίους οι 35 μέναν στ’απάνω Μαραζιά . Μπίτης Α. Αξιωματικός , 64 χρονών , με εισόδημα 1.500 δρχ. το χρόνο . Παπαθεοχάρης Αναγνώστης, κτηματίας , 59 χρονών , με εισόδημα 2.000 δρχ . το χρόνο . Κατής Αντώνης , κτηματίας . ( Αγωνιστής ) . Καψόκολος Νίκος , κτηματίας , 48 χρονών . ( Αγωνιστής ) . Αγκαλιασμένα απ’ τη θάλασσα τα Τροιζώνια , νησί με σπίτια και νεκροταφείο , που βρίσκονται θαμμένοι πολλοί Αγωνιστές του ’21 , που έπεσαν στις άγριες μάχες τις περιοχής . Εδώ , στο τέλος του περασμένου αιώνα , ήθελε να μεταφέρει την έδρα του ο Δεσπότης του Λοιδωρικίου . Μιάμιση ώρα βορειοδυτικά της Βιτρινίτσας , είναι η Μάκρυση , μ’ένα ρέμα μικρό και κομμάτι δάσους . Με 24 φαμελιές και 111 νομάτους – προπολεμικά είχε 150 – παράγει κρασί , όσπρια , καλαμπόκι και λίγο στάρι . Γκίκας Αναγνώστης , κτηματίας , 49 χρονών , με εισόδημα 1.500 δρχ. το χρόνο. Δροσόπουλος Αντρέας , κτηματίας , 54 χρονών με εισόδημα 1.500 δρχ . το χρόνο . Από δω επίσης είναι και ο Μπέσκος Γιώργος , κτηματίας , 33 χρονών . « Μηλίτσα πούσαι στον γκρεμνό » , λέει το τργούδι , κι’η Μηλιά μέσα σε γκρεμούς και σάρες είναι , μ’ένα δασάκι , 36 οικογένειες , 178 κατοίκους – προπολεμικά είχε 150 – και τα φτηνά αμπελοχώραφα . Υποψήφιος ένορκος είναι ο Κουμοτός η Κοκμοτός Δημήτρης ,δημοτικός σύμβουλος , 42 χρονών , με εισόδημα 2.000 δρχ . το χρόνο . Βασιλόπουλος Θανάσης , κτηματίας , 51 χρονών . ( Αγωνιστής ) . Βασιλόπουλος Δημήτρης του Κ., κτηματίας , 51 χρονών . ( Αγωνιστής ) . Μποτίνης Γιάννης , κτηματίας ,56 χρονών . ( Αγωνιστής ) . Μποτίνης Κώστας , κτηματίας , 48 χρονών . ( Αγωνιστής ) . Νταλάκαςη Μαργαρίτης Γιάννης , κτηματίας , 56 χρονών . ( Αγωνιστής ) . Παπαδημητρίο υ Κώστας , κτηματίας , 46 χρονών . ( Αγωνιστής ) . Παπαδημητρίο Χαραλάμπης , κτηματίας , 33 χρονών . Ταμπρατζής Γιώργος , κτηματίας , 52 χρονών . ( Αγωνιστής ) . Σε δυόμιση ώρες δρόμο , βορειδυτικά ,της Βιτρινίτσας , συναντιέται η Σώταινα , με 71 κατοίκους – 15 οικογένειες – που ζουν απ’ό,τι δίνουν τα γιδοπρόβατα που τρέφουν και λίγα καλαμπόκια , στάρια και κριθάρια . Γνωστός Σωταινιώτης είναι ο Συλλάνταβος Θανάσης , κτηματίας . ( Αγωνιστής ) . Η Ντοβροβίτσα , ρημαγμένη τώρα , είχε προπολεμικά , 25 νομάτους . Ανατολικά της Βιτρινίτσας , δυό ώρες , είναι η Βίδαβη με 423 κατοίκους – πριν το ’21 είχε 75 . Ακουμπισμένη ως τη θάλασσα , ανοίγει δυό καλά λιμάνια και παράγει κρασί , λάδι , στάρι και κριθάρι . Γαλάνης Νίκος , κτηματίας , 64 χρονών , με εισόδημα 1.500 δρχ.το χρόνο . Μαντζόρος Νίκος , ειρηνοδικειακός πάρεδρος , 33 χρονών , με εισόδημα 1.500 δρχ το χρόνο . Τελευταίο χωριό του Δήμου Τολοφώνος η Κίσελη , που απέχει μιά ώρα απ’τη Βιτρινίτσα και βγάζει στάρι , καλαμπόκι , κριθάρι , σίκαλη , όσπρια , μπαμπάκι , σταφίδα . Σε πλαγιά χτισμένη , έχει δυό θαυμάσια λιμάνια , 47 φαμελιές και 216 κατοίκους – προπολεμικά είχς 150 . Δεσποτόπουλος Γ. Αξιωματικός , 63 χρονών , με εισόδημα 2.000 χρχ το χρόνο . Λέκος Θανάσης , αξιωματικός , 56 χρονών , με εισόδημα 2.000 δρχ , το χρόνο . Λέκος Αντώνης , κτηματίας , 53 χρονών , με εισόδημα 2.000 δρχ. το χρόνο . Λέκος Γιώργος , κτηματίας , 59 χρονών , με εισόδημα 1.800 δρχ. το χρόνο . Αθανασιάδης Αναγνώστης , κτηματίας , 29 χρονών . Δρομάζος Θύμιος , έμπορας , 31 χρονών . Δρομάζος Παναγιώτης , κτηματίας , 30 χρονών . Κρίκος Λουκάς του Π. Κτηματίας . ( Αγωνιστής ) . Λέκος Νίκος , κτηματίας , 20 χρονών . Next up: two men who emigrated from the Fokidos region to Minnesota (USA) and who both lived past 100. Age 104 – Nick Haidos (born in Milea, Fokidos). You can read newspaper articles here. Age 103 – James Efstathios Kotonias (Dimitrios Efstathios Koutonias). He arrived at Ellis Island on 24 Mar 1907 at age 24. An excerpt of that recording has been set to this video slideshow by his grandson James Kotonias.